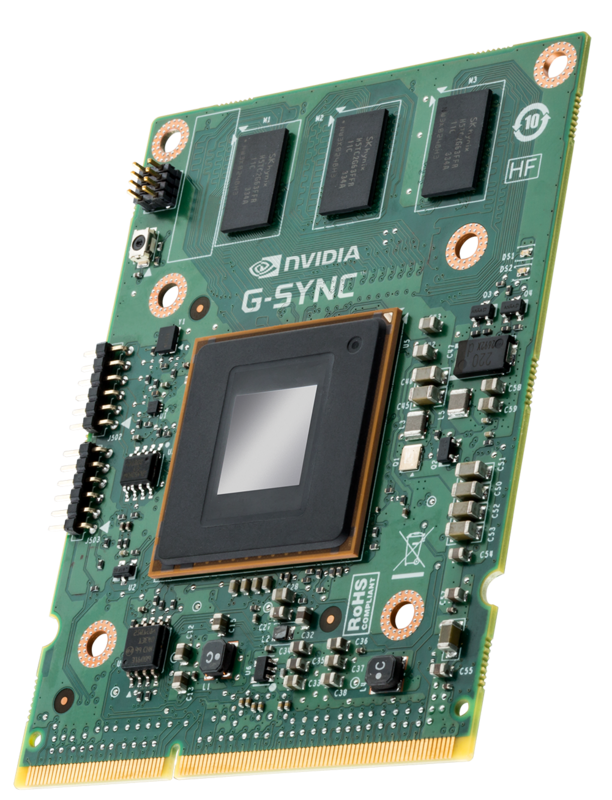 NVIDIA recently started to support Adaptive-Sync (FreeSync) as a GSYNC standard. Monitors that are check by NVIDIA for full compatibility will get a certification, which the manufacturers can then put on its box to bump up sales. The list now has been updated with new monitor models tagged as NVIDIA certified. There are now seventeen displays certified, five of them have recently been added. This includes two models from Asus, which earlier this month announced. These have TN panels and a maximum refresh rate of 165 Hz. There are also two new models from Acer. The ED273 has a 144Hz panel, while the XF250 goes up to 240Hz. From BenQ the 240 Hz XL2540. Nvidia says it has tested the 'G-Sync Compatible' screens for screen errors and flickering. Of the more than 400 screens, Nvidia found only 15 units good enough. If you have an adaptive sync monitor that is not certified, this disabled by default you can turn it on manually in the driver. As far as I'm concerned, that isn't possible. The display controller can't dynamically change its refresh rate based on the input signal (because if it did, then that's what G/Free/Adaptive sync are). These syncs keep the refresh rate closely in-line with the frame rate, where it maintains a tear-free experience and hopes to prevent frames from being wasted (because doing that can cause input lag and micro-stutter). So, let's say you have a 120Hz display with a G-Sync adapter plugged in. The display controller is operating at a constant frequency, but the input source isn't. So, you're either going to get tearing or you're basically just doing 120Hz with v-sync. That doesn't bode well, looks like it's the same tech as in the monitor I'm waiting for. nVidia replaces the whole scaler section, including the scaler chip and board with their own chip and accompanying parts. This costs, according to sources (I can't remember where I read this, it was several years ago) 50$ in parts, the rest of the cost is I guess getting the job done and the profit. I haven't seen this personally, but people say that between the same monitors, one with gsync parts, and one with ordinary parts, the gsync one has superior image quality (I doubt that, unless the stock one was really bad). The module carries all the functional parts. It is based around an Altera Arria V GX family FPGA featuring 156K logic elements, 396 DSP blocks and 67 LVDS channels. It's produced on the TSMC 28LP process and paired with three DDR3L DRAM chips to attain a certain bandwidth, for an aggregate 768MB capacity. The employed FPGA also features a LVDS interface to drive the monitor panel. It's meant to replace common scalers and be easily integrated by monitor manufacturers, who only have to take care of the power delivery circuit board and input connections. I'm also waiting on LG..... but i feel it wont come out till next year, 38GL950G-B, it could be easily my monitor for the next 5 years. Just because you do not like tn doesn't mean it is not preferred by many. All technologies, tn, ips, va, oled etc. Have their faults. This leaves me with OLED, which is far too expensive currently, and therefore, i must go with a high quality, 8-bit or better TN model. I don't have IPS glow, i don't have smearing/ghosting, and i get great colors. I don't need better viewing angles or "more accurate" colors. Personally i feel that if you were to try out a high quality tn panel and not purposefully view it from an angle you wouldn't use it at, you probably wouldn't think its "vomit inducing" and if you really do still you're probably just being an elitist. That said, everyones tastes are different. Surely those scalers aren't in use if you're running at native resolution though ? On the subject of Gsync vs Freesync, often GSync monitors are lower quality to try and recoup the cost of the Gsync module. I've seen this across quite a few monitors that have G/Freesync variants. They are always in use, it's the whole electronics of the monitor save for OSD, but that gets changed also. When they make monitor G-sync, it's basically a different monitor, the case, the panel, the backlight, those stay the same, but electronics is changed. I think the whole purpose of G-Sync was to replace V-Sync. In order to sync frames with the display refresh rate using Vsync, there is the effect that Vsync rises the latency between GPU work process and display presentation. G-Sync is capable of taking care of the Vsnyc operation without latency issues, while also avoiding screen tearing in cases when Vsync is off. Although most GPUs are fast enough to be capable of running Vsync just fine without the user noticing any lags, it may still affect performance in some way when frame drops trigger. My display (BenQ XL2420G) have a built-in Gsync module installed and I've tested the difference between G-Sync and V-Sync and I must admit that it works great indeed. In some scenarios I've even gained a few fps when Vsync was off while Gsync on. I paid like 480€ for the display back then when it was new. To me it was a fair price I guess, as I couldn't find any better 144Hz display for a budget with ~500€ that I liked anyway, even without G-Sync the options with other displays I've had were meh. However I didn't know that G-Sync alone was responsible for the display price to rise for the 150-200 bucks that was mentioned here already. However, I personally don't want to give away the hardware solution with G-Sync, because it really works great in my opinion. Considering upgrading my displays, the options that support the built-in G-Sync solution are getting less it seems, and my favourite displays that I'd consider purchasing only support AMD Freesnyc anyway. The compatibility of Gsncy with FreeSync might be all good and so on, but this is something that works only on specific models better than others, which is just again another "+/-" comparison, instead of full compatibility. So I don't know what to think of this right now. Let's say that's true. I wonder then, why does Nvidia try to make AMD FreeSync work over G-Sync, also taking the responsibility and costs that this project comes with, instead of making the hardware solution with G-Sync available to display manufacturers for a fair and more competitive price? In addition there is also the faults that all of them can be affected with such as backlight-bleeding, banding, colour-banding, screen flicker, input-lag etc. and there is a lot of such models that have these faults regardless of the panel they use.